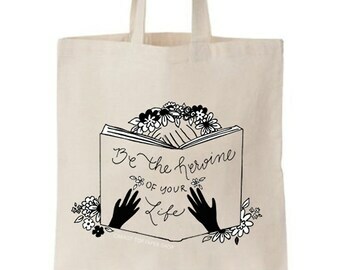 Be the heroine of your life. Announcement FREE GIFT: Get a FREE 5x7 print with your first order when you sign up for the Kindred Spirit Club. See below for details! Welcome to Carrot Top Paper Shop: your one stop shop for all things literary! 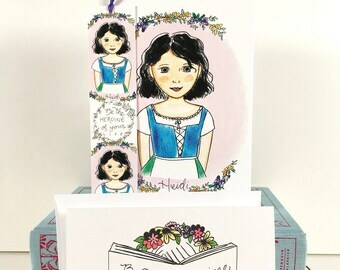 All of my creations are inspired by literary heroines, and dedicated to Kindred Spirits everywhere. +The Kindred Spirit Club is where I spoil you with sneak peeks, secret giveaways, and super secret sales hidden from the general public. I never spam, naturally. You don't want to miss out! 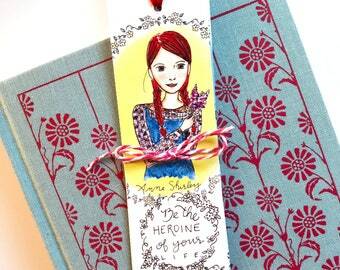 +At Carrot Top, you will find the perfect prints to inspire and delight your favorite real-life heroines. +My next product line, the Legacy Collection, is coming out on May 15, 2017! Woohoo! If you are in the Kindred Spirit Club, you will be the first to get all the details. 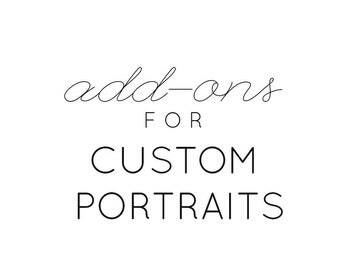 +I currently don't accept custom orders, but I always love getting your feedback and ideas for future designs! Send me a convo to share your requests. FREE GIFT: Get a FREE 5x7 print with your first order when you sign up for the Kindred Spirit Club. See below for details! I got this as a part of the “minor flaws” sale, and whatever flaw it might have it does not show and the mug looks beautiful. The size of this mug is wonderful.. I use it for all types of drinks, hot or cold. 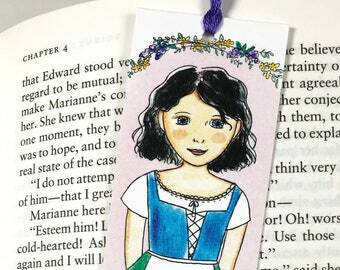 These bookmarks are wonderful! They are exactly as described and they're even more adorable in person than they are in the pictures. Shipping was quick and the packaging was super cute as well. So pretty! Thanks so much for fast and safe shipping! 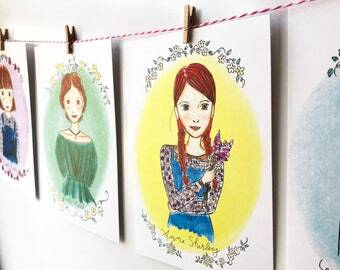 Carrot Top Paper Shop is named after everyone's favorite red head, Anne Shirley. Look for giveaways on Instagram @carrottoppapershop. The literary heroine banner that brought Carrot Top into existence. Me any my tiny heroine. Hello! My name is Jenny Williams and I'm the artist and owner of Carrot Top Paper Shop. I'm so pleased you are here. The idea that inspired Carrot Top Paper Shop is near and dear to my heart. 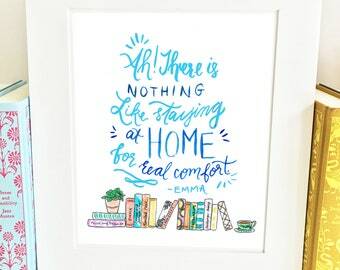 It began when I was pregnant with our daughter, scouring the internet for cute, literary-themed artwork for her nursery-- and I couldn’t find what I was looking for anywhere! When I found out we were having a little girl, one of the things I most looked forward to was sharing my love of reading with her. 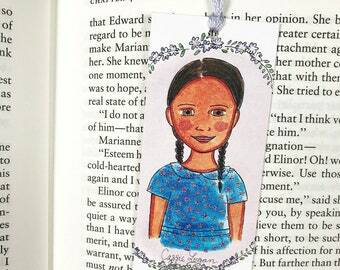 I wanted her to have artwork in her room that would inspire curiosity about, and admiration for, the strong literary heroines I love so dearly. 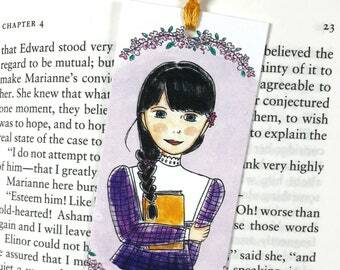 Since I couldn't purchase what I wanted, I decided to take matters into my own hands, and I created my first literary heroine banner. 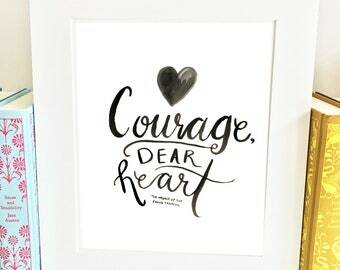 I wasn't planning on starting my own business at that point, but after receiving feedback from friends and family, I realized there were other moms out there looking for the same thing, and I wanted to give them exactly what I had been looking for. 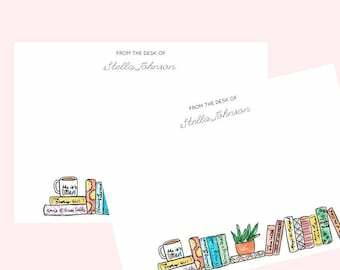 A few months later, after many long days of working through my baby's nap times, I released my very first product line of five literary heroine prints, and five bookish quote prints. I've always dreamed of a job that didn't feel like a job, and creating literary artwork for fellow bibliophiles is definitely it. 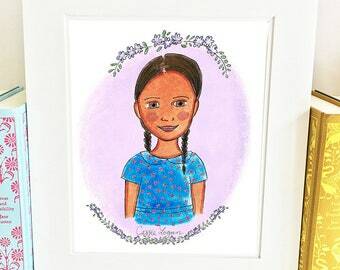 I have worked on Capitol Hill and in the corporate world, but making literary-themed art work for you, and being the mom to my baby girl, is by far my favorite job. 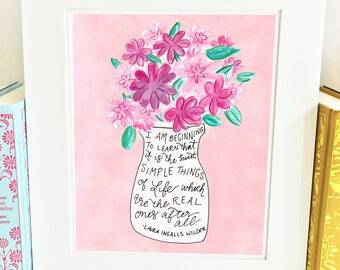 I illustrate all of my heroines and quotes by hand in my tiny, sunny, home studio and make them beautiful with rich Pan Pastels (and a little colored pencil). I use a local business here in Oklahoma for printing all of my art prints and bookmarks, to ensure optimal quality for long-lasting usage. I'm pleased to be partnering with online companies who can help bring a broader range of products to my shop. We are proud to be partnering with a local printing shop to produce this beautiful product. I am pleased to be partnering with online companies who make it possible for me to have a broader range of products in my shop. Thank you so much for visiting Carrot Top Paper Shop! 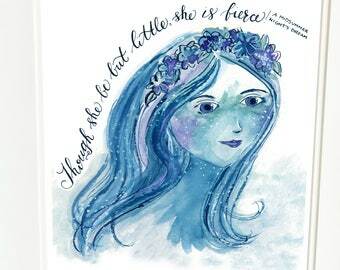 I design prints for kindred spirits of all ages. 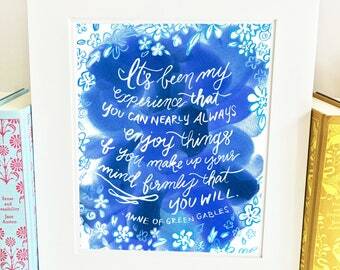 Half the fun of my shop is connecting with all of you fellow lovers of Anne Shirley, and all things literary! I'm just a convo away if you have any questions or concerns. I want your experience here from start to finish to be as thrilling as sleeping all night in a cherry tree. I am confident you will love your order, but if for any reason you are not thrilled with your purchase, contact me within 48 hours of receiving your order and we will work it out. In most cases I am happy to offer you a full refund for returned, unused items. I'm not happy unless you are happy. Please feel free to convo me if you have any questions or concerns! I ship within 1-3 business days of your purchase, by USPS First Class Mail. However, I like to be speedy: most orders go out next business day. If I am waiting for an item to be restocked, processing time may take up to 3 days. If you are concerned about the processing time for a particular item, please message me! I'm happy to answer any questions. International orders: Buyer is responsible for any Customs and import taxes that may apply. I am not responsible for delays due to customs. All prints come nicely packaged with a protective cardboard insert, inside a clear sleeve, ready for gift giving! 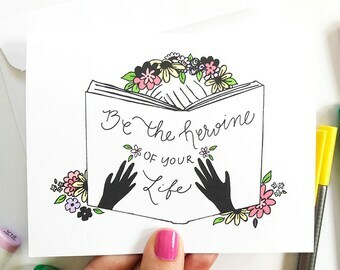 Where do I join the Kindred Spirit Club (e-newsletter) to get my free 5x7 print? When will the "Hey Carrots" mug be available again? 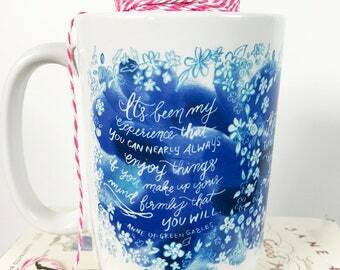 At this time, I don't have plans of re-stocking the Hey Carrots mug. 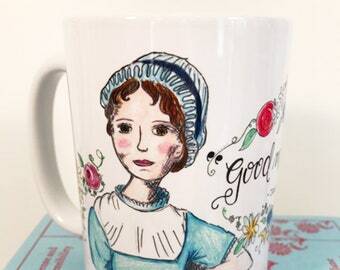 Check out the "mug" category in my shop for other wonderful literary mug options! 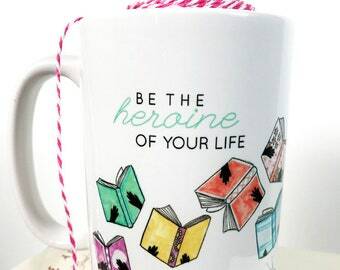 What prints can I choose for my Literary Heroine Banner? 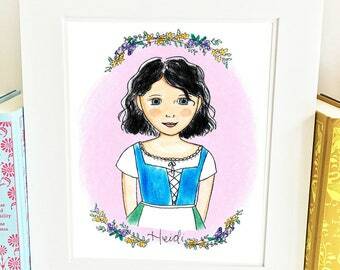 Are all of the literary heroine portraits limited editions? Not all of them! 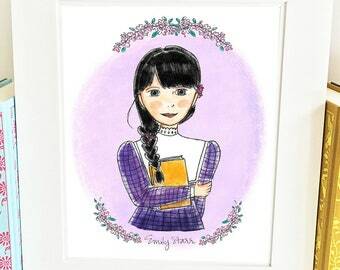 These literary heroines are in the shop for good: Anne Shirley, Elizabeth Bennet, Scout Finch, Jo March, Laura Ingalls Wilder, Hermione Granger, Jane Eyre, and Lucy Pevensie. Limited Edition Heroines will be labeled as such within each listing. I own/work for an independent bookstore. Do you offer wholesale? What heroines will you include in your shop in the future? 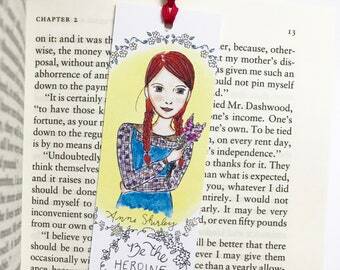 Don't see your favorite literary heroine? I create new heroines solely based on votes from Kindred Spirits (members of my e-newsletter). If you would like a say in who the next heroine will be, make sure you join the Kindred Spirit Club (see FAQ on how to join). What exactly is The Kindred Spirit Club? The Kindred Spirit Club is the best part of Carrot Top Paper Shop. It's technically just my e-newsletter, but it's also the place where I spoil you: I do secret giveaways, special discount codes hidden from the public, sneak peeks on upcoming products, and let you have a say in the next Carrot Top heroine. Joining the Kindred Spirit Club also gets you access to the Kindred Spirit facebook group, where you can interact with like-minded readers. I value your time and your inbox, and never, ever spam.